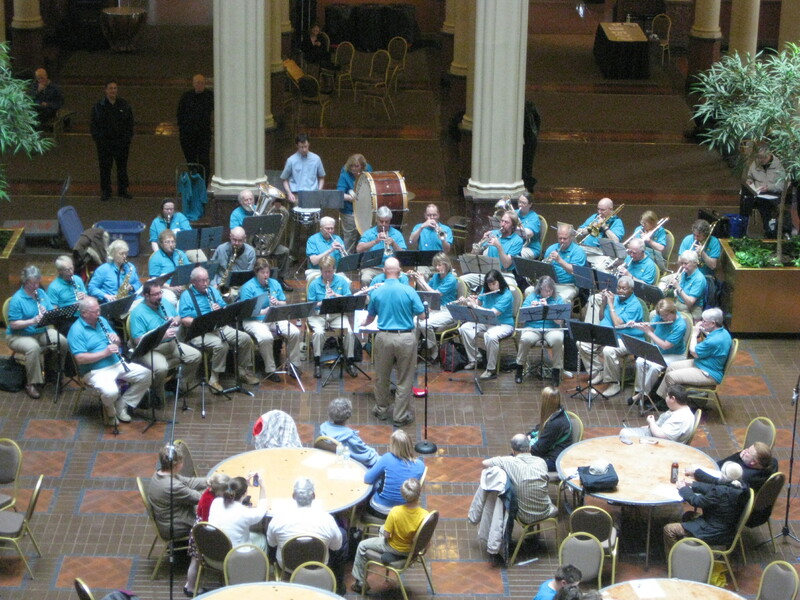 In 2010, the Fridley City Band celebrated its 50th season of performances. Long ago, in the fall of 1960, parent members of the Fridley Band Boosters Club decided to turn the tables on their musician children who usually were the featured performers at the Band Booster meetings. 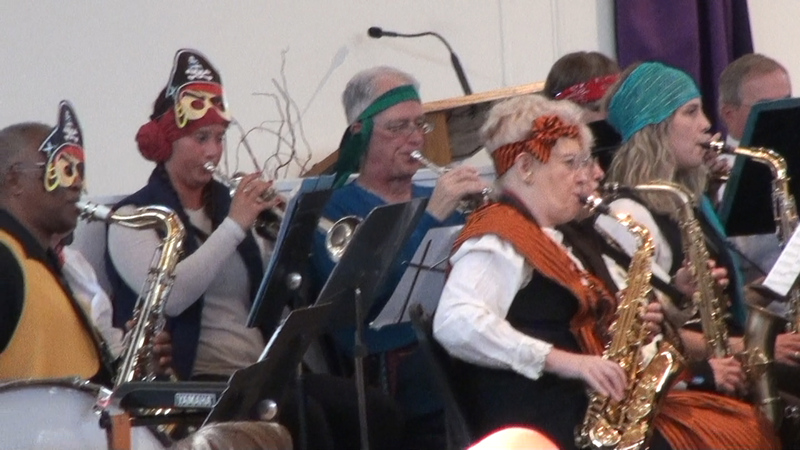 A brass ensemble of parents practiced and then performed for the group and was a smashing success. Other parents clamored to be allowed to join the group. The kids were even proud of us old folks (most of us were in our early 30's). So we decided to start a City Band. Cedric Adams, a popular columnist with the Minneapolis Star, featured our efforts in one of his columns. 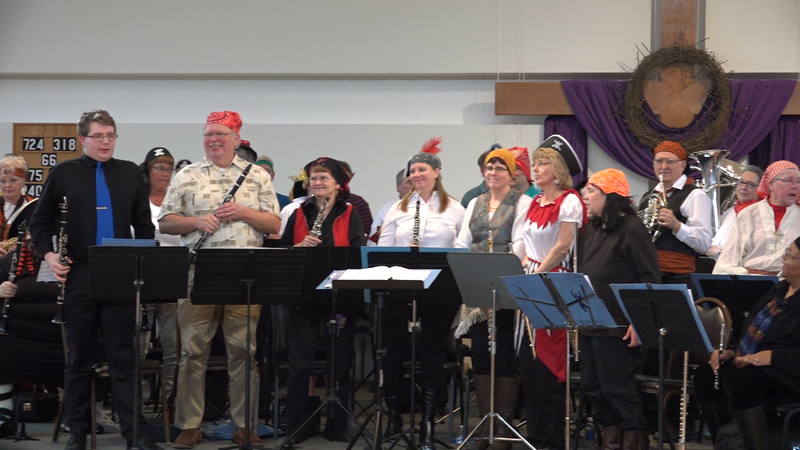 We also advertised in the local paper for "wannabe" band memberts in the Fridley area who were interested in dusting off instruments and revitalizing skills left over from High School and College Band days. 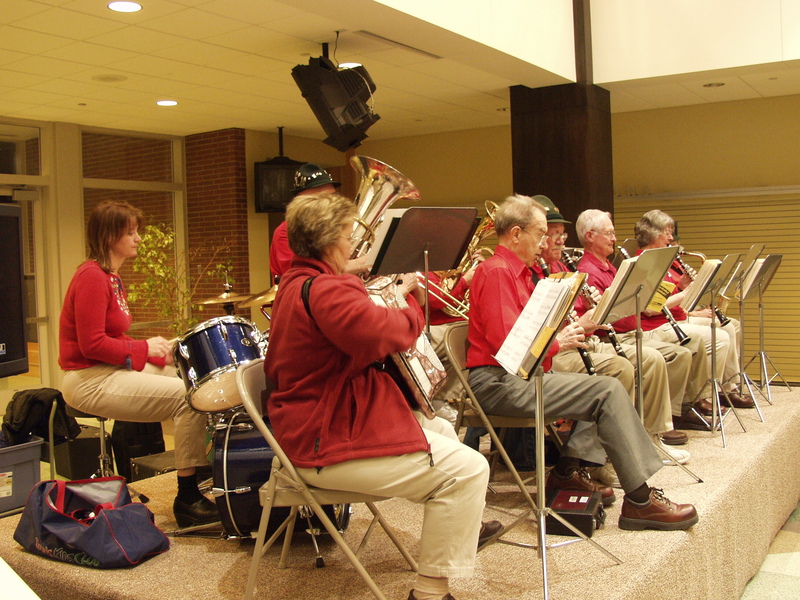 At our first rehearsal in mid-January 1961, about 25 eager musicians showed up and the intrepid Fridley City Band was born. We quickly grew to 40 members. 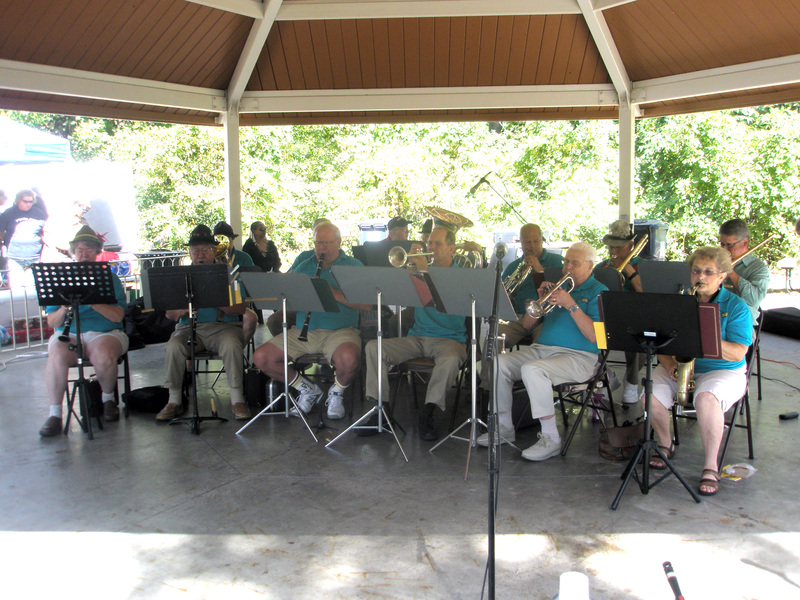 Summertime we played weekly concerts in neighborhood parks, took second place in the Aquatennial concert band contest, participated in 49er Days parades, sponsored and hosted several Community Band Festivals, played for shopping center openings (Holly Center in 1961 among others) and performed at many civic events. Over the years many children of band members joined in and played alongside their parents. At the present time we have a 2 generation family in the Saxophone section of the band. 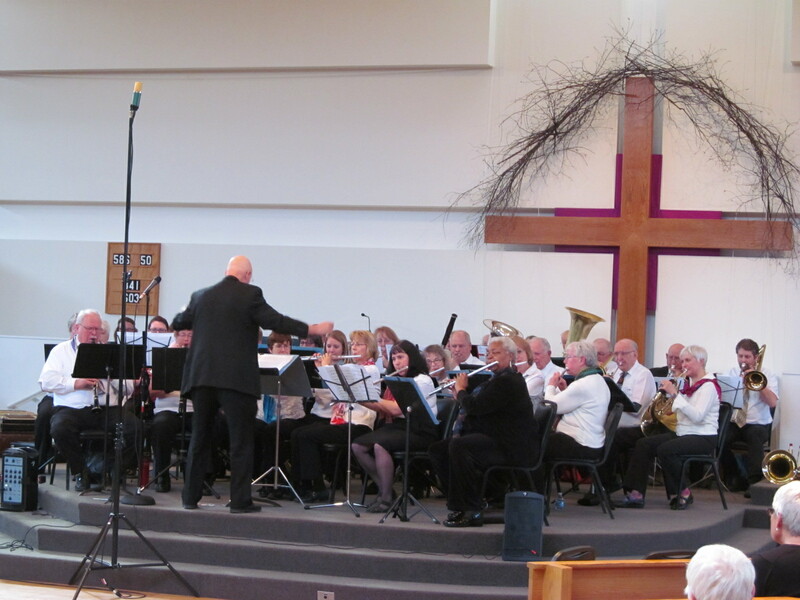 Our repertoire includes show tunes, pop tunes, concert works and of course, wonderful marches. We have established an extensive library of concert band music over the past 46 years and the library is updated each year with new music literature. Only 4 directors have led us in 46 years: Ben Fredricks, Vern Knutson, David Olson and our present fine director Phil Raaen. 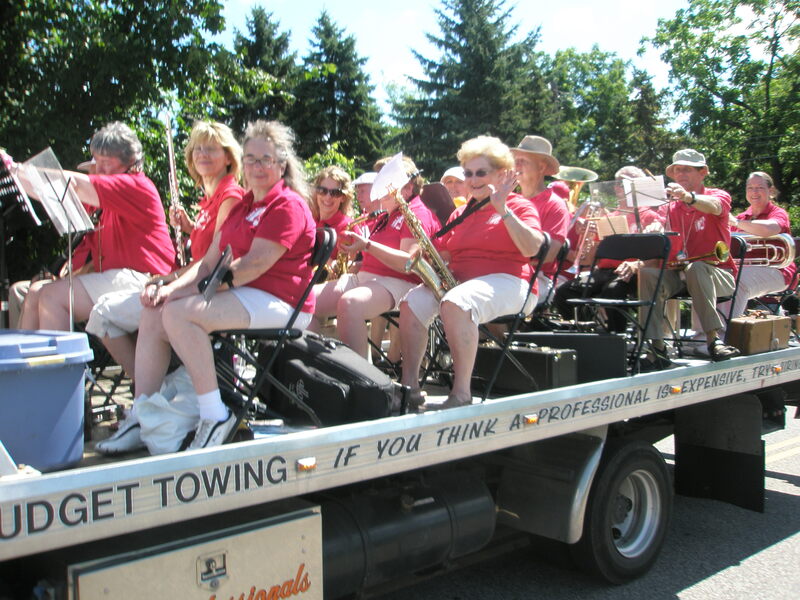 Rich and Bev Kinsman and Bob and Betty Scott were charter members who have been playing with the group since 1961. Betty Scott, a superb clarinetist, passed away in the spring of 2006. She is sadly missed. 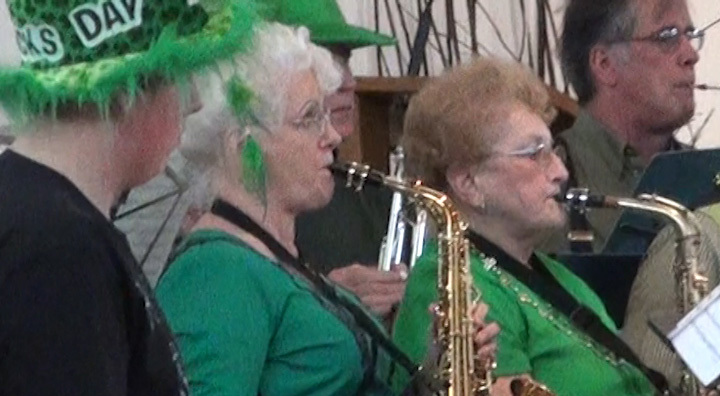 Mary Jane Olson and Ross Larson have been with the band for over 40 years. 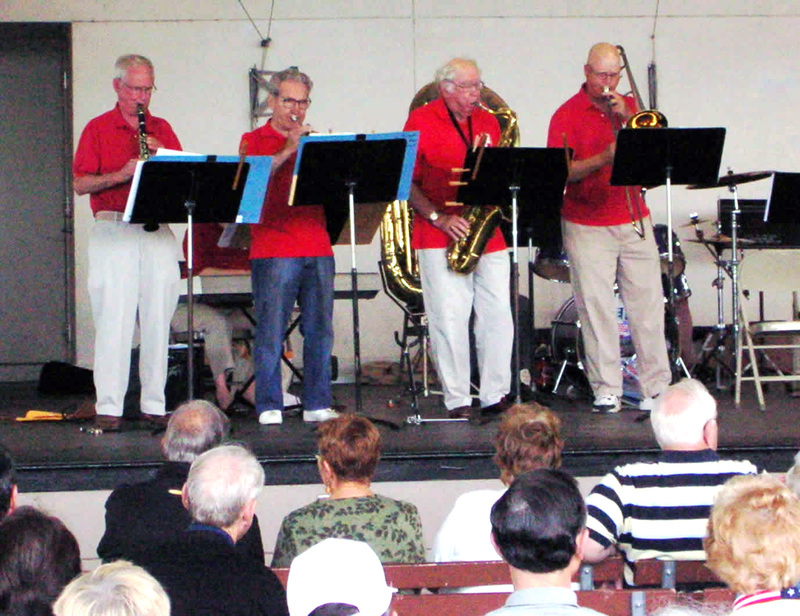 The band members have formed a German Band and a Dixieland Ensemble within the larger group of musicians. These two specialty groups are in great demand. 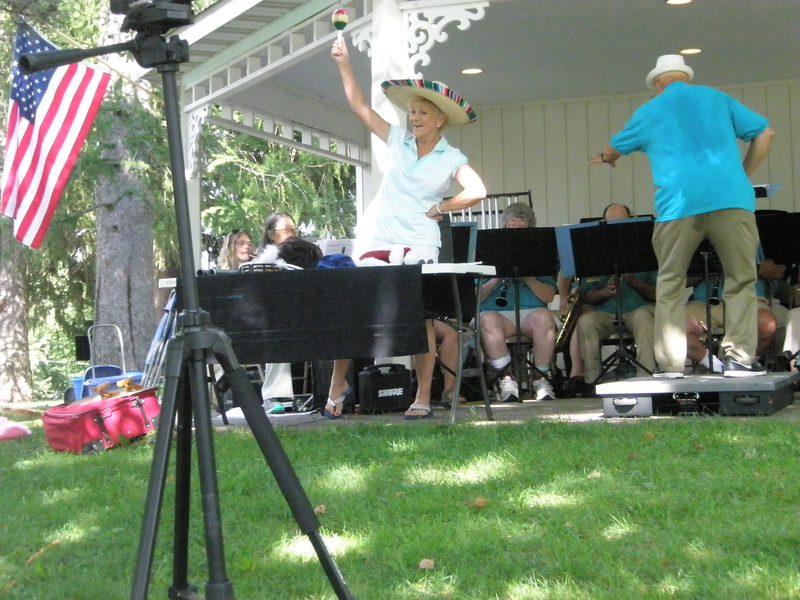 Funding comes from Arts Grants, area corporations such as Medtronics, dues from band members and some paid performances. 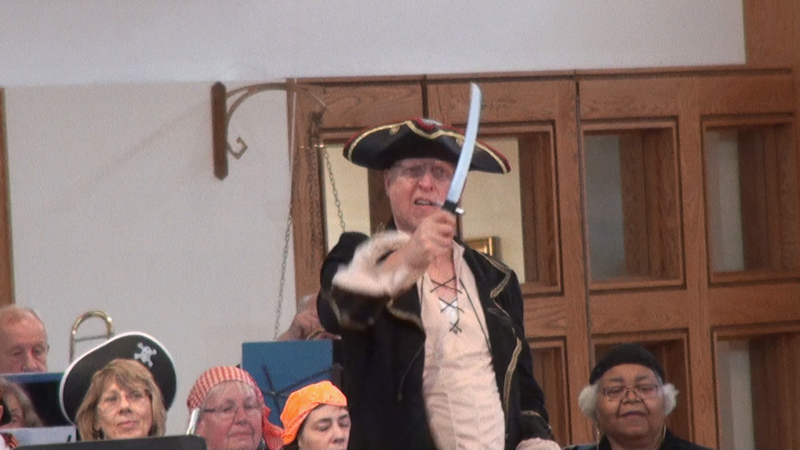 These funds cover our director's salary and music costs. 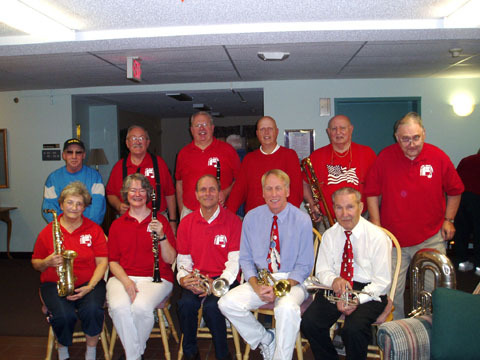 The band plays about 9 concerts a year in Fridley area nursing homes, Senior Citizens Residences, Senior Center, 49er Days Concert and Parade and Fridley Historical Society events. 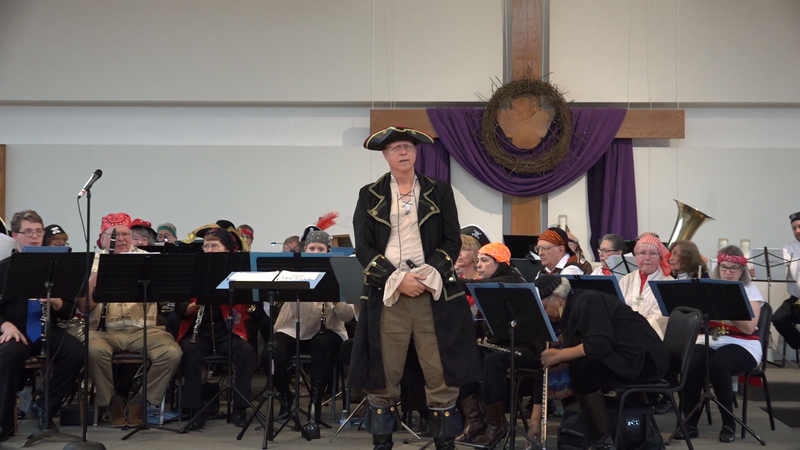 The City Band and Northeast Orchestra join in a Midwinter POPS Concert. 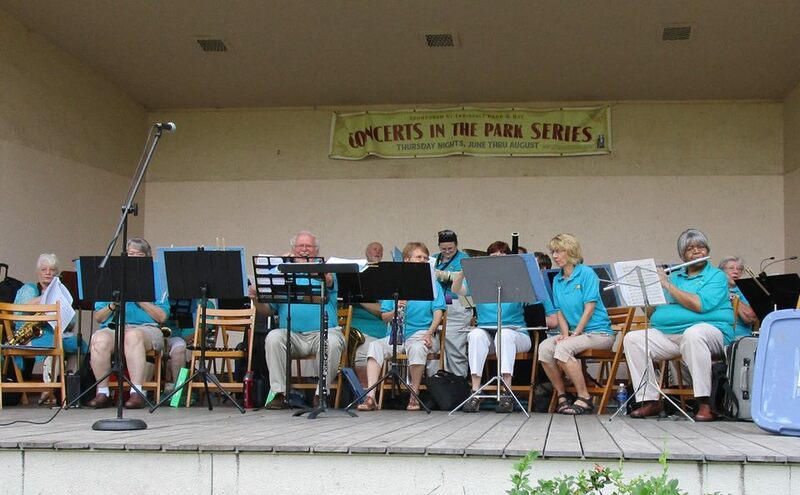 Every summer, by invitation, the band plays concerts at the Como Park Pavilion, Faribault's Concerts in the Park, Hopkins Raspberry Festival, Lake Minnetonka in Mound, Minnehaha Park in Minneapolis, and Forest Lake's Concerts by the Lake. Fridley City Band rehearses at the Fridley Middle School Band Room on Monday nights 7:15 to 8:45 pm from September through June. Fridley area musicians are invited and encouraged to join us for a rewarding experience.